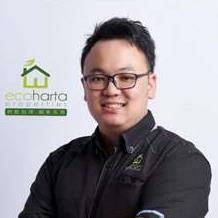 Hi,I am Jeremy From Eco Harta Properties, I am specialist in Landed Property & Service Apartment (Bukit Indah,Iskandar Puteri, Skudai,Medini Area). I can help you to choose the right property in Johor. Whether you are an experienced investor or business, first time buyer or foreigner looking to move into JB. My Services cover you through the whole process. I am here to help you everything to make the best real state in your life.